We’d love to have you join us this Sunday. Everyone is welcome! You matter to God and we care about you. We know that your first time at a church, any church, brings up some questions. Here’s a quick look at what you can expect. There room to park beside, behind, and northwest of our building. Sunday School – See our Sunday School page. We gather together to worship God at 11am in the sanctuary and usually wrap up at about 12:15pm. A multi-generational church, we sing a mix of hymns and contemporary songs. Most weeks, a time of worship through song is followed by a sermon by the pastor or guest speaker. We practice the Lord’s Supper monthly, and we include baptisms in the Sunday morning service as they arise. We are a church of The Christian and Missionary Alliance in Canada and believe that Jesus Christ is our Saviour, our Sanctifier, our Healer, and our Coming King. Check out our Statement of Faith. We have a special ministry called “Children’s/Toddler’s Church” for kids aged 18 months – 6 years old that takes place every other week during the sermon portion of the morning (Sept.-June). During the worship service, usually right after the offering is collected, the kids are invited to the front, prayed for, and dismissed to their classes. The kids aged 18 months-3 years old head with their parent/guardian to meet their teacher in a classroom on the main floor. Kids ages 4-6 head upstairs with their parent/guardian to meet their teacher in a designated classroom. All children must be registered and ‘sign in’ before and ‘sign out’ after Children’s/Toddler’s Church. Children will only be released to a parent or pre-designated guardian. Registration Forms are available for parent’s convenience at each of the classroom locations. 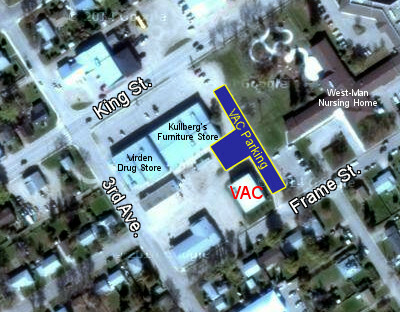 The nursery is always open and available for you to take care of your baby. It is equipped with a change table, crib, chairs, toys, window into the sanctuary and a speaker to hear the Morning Worship Service. 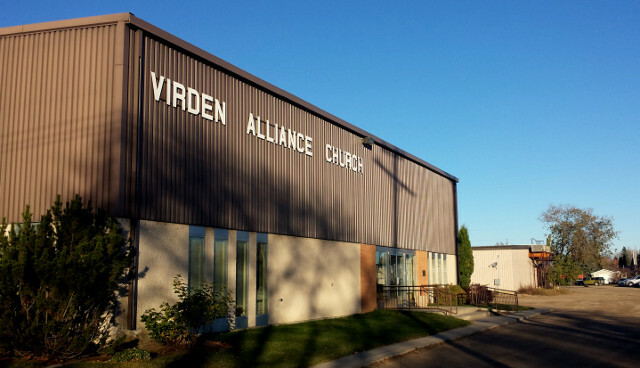 If you would like to make a donation to the ministry of Virden Alliance, there are offering envelopes on the counter in the entrance. Just fill out your information, insert your donation, and place it in the offering bag as it is passed around during the morning worship service. May God bless you as you give! Faith in Jesus – Learn more about having faith in Jesus. We want you to know that our doors are wide open to people from all backgrounds. It is our desire to see people come to know Jesus Christ and follow him. If you have any questions about our church or its ministries, please do not hesitate to contact one of our pastors. We believe all people matter to God, and therefore, you matter to us!